A native Houstonian, Dr. Sally Thomas graduated from Houston Baptist University with degrees in biology and chemistry. She received her medical education at the University of North Texas Health Science Center in Fort Worth and completed her residency in family medicine at The University of Texas Health Science Center at Houston (UTHealth) Medical School. Board certified in family medicine, Dr. Thomas has been in practice in the west Houston area since 2005. 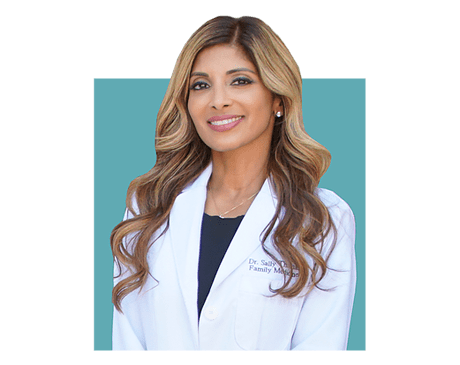 Her special areas of interest are women’s health, medical weight loss, hypertension and diabetes and she is trained in Botox, Juvederm and aesthetic laser procedures. Dr. Thomas is a member of the American Medical Association (AMA), the Texas Medical Association (TMA) and the American Academy of Family Practice (AAFP). When she is not at the practice, Dr. Thomas stays busy with her two children. She loves to stay healthy by exercising. She is also an avid reader. Please call our office to verify if we do accept insurance. We also offer affordable self pay office visits and lab testing. Walk-in same day appointments are available.